Kitchen renovations add significant value to homes, with a high return on the investment. According to the 2017 Cost vs. Value Report, people who do a major kitchen remodel can expect to recover between 65 to 80 percent of what they paid. Those percentages include both major and minor kitchen transformations. Once you have decided to renovate your kitchen, it is essential to understand what kitchen upgrades will help you increase your home value, and what improvements are not necessary. Here are four of the ways you can renovate your kitchen to add significant value to your home. When people are looking for the perfect house, one of the top features on their list is for the kitchen to have plenty of space. Small and closed-off kitchens are one of the most significant factors that lower buyer preference for houses. Most people view the kitchen as a gathering space for everyone, so they prefer the kitchen have enough area to accommodate the people that are regularly with them. Having counter space and room for more than one person to work together is another critical component of a valuable kitchen. Also, when someone is cooking in the kitchen, they still want to be a part of the activity that is happening in the rest of the house. Closed-off kitchens make people feel separated from the rest of the house and are not appreciated by most home buyers. If you can install more windows or remove a wall that separates the kitchen from the other rooms of the house, those are great ways to increase home value by creating a feeling of spaciousness. For people who want to make sure their house is valuable on the market, picking neutral colors will help increase the value. Many people have the urge to design their kitchen with bright colors that appeal to them; however, home buyers prefer natural colors that make it easy for them to envision their kitchen design. Bold and patterned designs on the walls, floors, or cabinets limit the design options and can cause the home value to be less than if the main features of the kitchen are neutral. Having neutral colored walls, flooring, countertops, and cabinets allow you, or potential home buyers to decorate with bright colors and unique designs. The neutral colors allow for kitchen redesigning to be simple because you will only need to trade out decorations for a whole new look. In a newly designed kitchen, the appliances add the perfect finishing touches to the room. 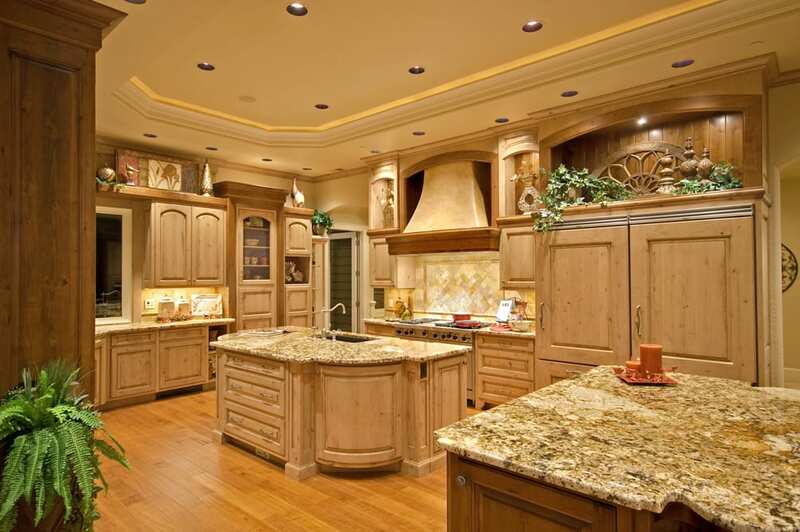 Purchasing high-end appliances give the kitchen an expensive feel. You can spend a lot of money renovating your whole kitchen, which may be necessary, but even if you just want to make a few small changes that increase the value of your home, don’t skimp on the appliances. While they are expensive, the perfect matching appliances can completely transform the look of a kitchen. They also send a positive message to people who are considering buying your home. There are many ways to improve the look of your kitchen. If you want to remodel your kitchen for personal preferences only, then designing it how you want it is a great idea. If you are renovating your kitchen to make it more marketable, you can add value by updating appliances, decorating naturally, and increasing the kitchen space. Trendy renovations are fun while they are in style, but are expensive and difficult to change as the different trends change. Also, stylish improvements are often seen as a personal preference, and people want to be able to effortlessly personalize their new space, without having to spend more money for renovations. If you are ready to renovate your kitchen, make a plan, research the changes that will increase the value of your home, and contact a contractor who can help guide you through the process.